All educational leaders are welcome to attend! Attendees will receive a professional development certificate. Steve, aka Stand Tall Steve, is an educational leader and master motivator. He works with educational organizations to generate new ideas, improve climate/culture, and maximize leadership skills. His extensive client list includes the National Assoc. of Secondary School Principals, Rutgers University, Burlington County Principals and Supervisors Assoc., and Camden County College. Steve started his teaching career here in Mercer County as a Visual Art Teacher in Lawrence Township Public Schools. He took his first administrative role as a Vice Principal in Gloucester Township Public Schools. He subsequently served as Principal in the Willingboro and Mount Laurel Public Schools. Steve returned to Mercer County as the Acting Superintendent/Assistant Superintendent of Curriculum & Instruction for Hamilton Township Schools. He then served as the director of schools for CSMI LLC, an educational management company that provides direction and leadership to select Charter Schools. Currently, Steve is an adjunct professor of the alternate route teacher training program at Rutgers University. 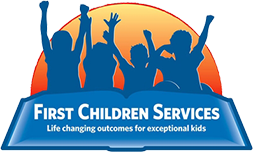 856-888-1097 Ext 304 or scohen@firstchildrenservices.com with any questions.